We’d love your help. Let us know what’s wrong with this preview of Sci-Fi from the Rock by Erin Vance. 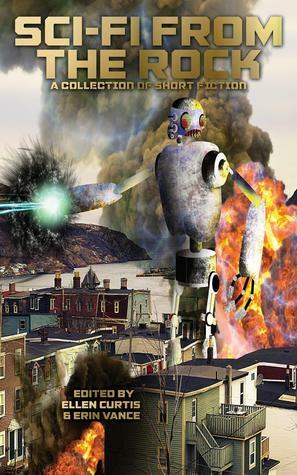 Nineteen short stories written by an eclectic mix of some of the best science-fiction and fantasy authors in Atlantic Canada, some of them award-winning veterans and some of them new to the craft for the first time. Edited by English Honours Graduate and Professional Editor Erin Vance and veteran science-fiction author Ellen Louise Curtis, this collection features the hear Nineteen short stories written by an eclectic mix of some of the best science-fiction and fantasy authors in Atlantic Canada, some of them award-winning veterans and some of them new to the craft for the first time. To ask other readers questions about Sci-Fi from the Rock, please sign up. I really enjoyed this collection. There are some of my favourite stories from past collections (I was especially glad to see 'Hag Ridden' included), as well as some new favourites (I definitely need to pick up a copy of 'Whitecoat'). With 19 stories of various lengths and about a variety of subjects, I'd hazard a guess that there's something in here for everyone. At a time like this with things looking so grim financially for our province, it was comforting to read so many amazing stories and to see the level of creativity and storytelling we have right here at home.